Welcome to Vitalia, your home for a healthy life. To heal illness or to expand your wellness, we have your answers. We take the time to understand your life - not just a few symptoms. 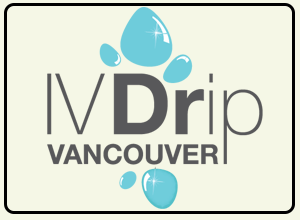 And we have what you need for wellness: in-depth naturopathic knowledge, effective treatments, a comfortable clinic in Vancouver, and personal caring. BC. How Vitalia makes a difference. How we understand your health. The ways we help you. 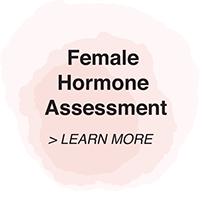 Analyzes your exact hormone levels. Message from Dr Tasreen Alibhai N.D. The best treatment for any health condition is prevention in the first place. The answer is not a magic pill… The solution is simple: Proper nutrition, Exercise, Cleaning the body of harmful chemicals… this is the answer! Take charge of your own health! Our approach combines natural, non-toxic therapies with the most recent scientific research about human health. We take advantage of technological advancements, and our clinic houses the latest diagnostic testing and therapeutic equipment. 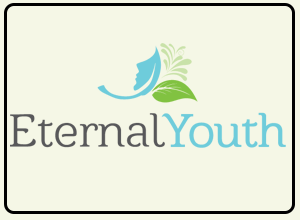 Our licensed and accredited holistic professionals have solid experience and expertise. As well as using this knowledge to improve your health, we also share it to empower you in making informed decisions about your wellbeing. 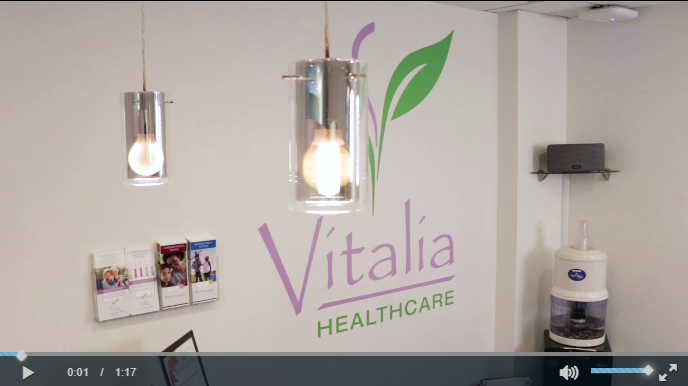 Whether you have specific health issues to address or simply want to maintain your health , Vitalia Health Care can provide the answers. Read more about our philosophy..
Women's health including menopause, perimenopause, PMS, fertility, gynecological care. Fatigue including balancing adrenal hormone, thyroid hormone balancing, basic vitamin and mineral deficiencies. Vitalia Health Care will provide you with answers whether you have specific health issues to address or simply want to maintain your health. Our Vancouver Naturopathic Clinic strives to not only improve your health but empower you to make informed decisions about your wellbeing. Dr. Alibhai is board certified in Pharmacy/Prescribing, IV therapy and Chelation therapy. She has also received her training in biomedical treatments for Autism from the Medical Academy of Pediatric Special Needs and attends numerous conferences by the A4M and AAEM. Over the last 9 years she has focused a lot of her studies on biomedical treatment for Autism and ADD/ADHD which has allowed her to gain a better understanding of how our cells function, the importance of mitochondrial health, the role of genetics, epigenetics and toxins in disease, the importance of the gut microbiology in health and the balance of key hormone systems in our body. Dr. Alibhai’s ability to develop effective treatment plans comes from her extensive experience. After obtaining a comprehensive health assessment along with a complete physical examination and any laboratory testing she recommends, Dr. Alibhai will find the underlying areas of the body to support and treat first. By investigating and treating the root causes of disease first, the multitude of symptoms that the patient comes in begins to improve. Dr. Alibhai is an active member of the BCNA, CNPBC and CAND. 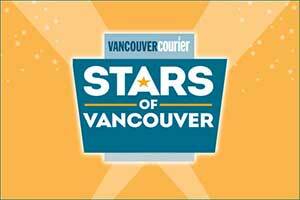 She is passionate about naturopathic medicine and believes it is important to support the profession. She is a member of the quality assurance committee of CNPBC, the professional regulatory board in BC and an advisor to the specialities task force committee of the College of Naturopathic Physicians of Vancouver BC. The QAC is responsible for maintaining and promoting the highest standards of practice among Doctors in BC. Dr. Jennifer Luis, BSc, BEd, ND completed her medical training at the Boucher Institute of Naturopathic Medicine in British Columbia after completing her undergraduate degrees in Cell Biology/Genetics and a Bachelor of Education at UBC. With experience as a secondary school teacher in Vancouver for years and a love of teaching, Dr. Luis enjoys educating patients to help make positive lifestyle and health related decisions. 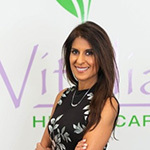 By seeking the underlying cause of disease and treating the whole person using naturopath principles, she offers individualized treatment plans that help her patients reach their goals and achieve optimal health. Believed to be the cause of more than 70% of IBS cases, Small Intestine Bacterial Overgrowth (SIBO) is the most common cause of abdominal bloating and is often overlooked. 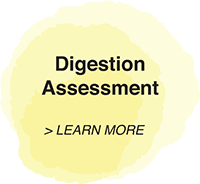 Dr. Luis has received extensive specialized training in the latest wholistic approach to treatment and regularly refers to new research published on SIBO. 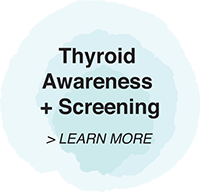 Comprehensive thyroid screening has identified a large number of people with previously undiagnosed thyroid disorders. 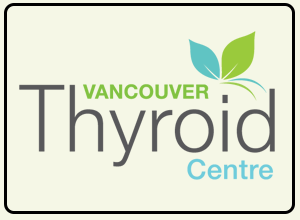 Dr. Luis uses both natural and prescriptive therapies to successfully treat thyroid conditions such as hypothyroidism, Hashimoto’s Thyroiditis and Grave’s disease. Dr. Luis was diagnosed with auto-immune thyroiditis over 10 years ago and has a wealth of knowledge and experience in this field. With three children herself, Dr. Luis has a special interest in pediatrics, pregnancy, pre/post conception and hormone balancing. She has had success in helping women conceive both naturally and assisted through fertility focused acupuncture and hormone balancing. To enhance her ability to treat fertility, Dr. Luis has received additional training in acupuncture related to conception dn pregnancy as well as A4M advanced hormone seminars abroad. Dr. Luis has completed courses and specific training in Bowen Therapy, Advanced IV Therapy, Bio-identical Hormone Therapy training with A4M & PCCA Hormone Optimization Symposium, Neural and Chelation therapy. She has completed additional training in SIBO identification and treatment, Advanced Naturopathic Pediatric Care certification and vaccination training. Dr. Luis uses a variety of manual treatments to improve health such as acupuncture, Bowen therapy and neural therapy along with IV therapy and chelation. Diet and nutrition counselling are a part of each treatment plan with the goal of requiring the least number of supplements and interventions as possible. Dr. Luis is licensed by and in good standing with the College of Naturopathic Physicians of BC and is a member of both the BCNA and CAND. She also holds a license to prescribe pharmaceutical agents in BC.